Safety training at Belmont University in Nashville, Tenn. May 11, 2017. More than 30 Belmont staff and administrators participated this week in an extensive two-day training course provided by the National Center for Biomedical Research and Training (NCBRT), a training partner of the Department of Homeland Security. 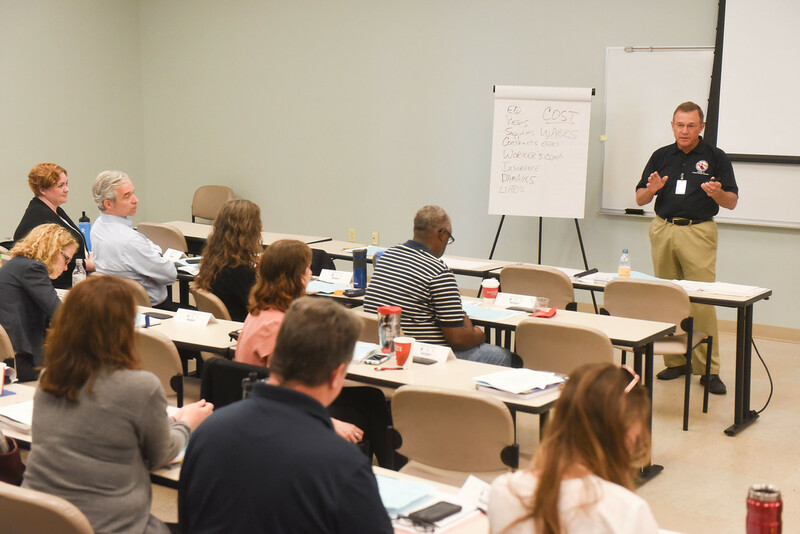 The course, Campus Emergencies Prevention, Response and Recovery (MGT-324), provided participants with an understanding of and ability to navigate throug​h the difficult aspects of dealing with campus emergencies involving natural or man-made events, including acts of violence. The course consisted of small, problem-based, integrated group activities that required a coordinated, integrated approach to solve. Through tabletop scenarios, course participants observed a developing incident and responded in a manner consistent with currently established campus and jurisdictional emergency operations procedures.